A few years back a friend asked if I wanted to be a part of a panel he was organizing for the Sociology of Religion Study Group (SOCREL) Conference held at the University of Chester. At the time, I had never attended an academic conference, and was keen on developing my CV, so my emphatic and immediate agreement to participate somewhat overshadowed the fact that I was a bit out of my purview. As I would later discover, the topic of the panel was to be on ‘Conspiracy Theories and Religion,’ a topic about which I knew very little beyond the few aspects that might have inadvertently popped up during my master’s research on New Religious Movements. Therefore, and in an effort to quickly cobble together some sort of correlative connection between Atheism and Conspiracy Theories, I threw together the following theoretical approach. In the years since, I’ve mostly forgotten about this theory, until I was reminded by a recent Facebook discussion pertaining to Pascal’s Wager. If an individual believes that God exists, and God does exist, that person achieves an infinite result: Heaven. If an individual believes that God exists, and God does not exist, that person achieves a finite result: neither reward nor punishment. If an individual does not believe that God exists, and God does not exist, that person achieves a finite result: neither reward nor punishment. In conclusion, Pascal ‘wagered’ that a life lived in the belief that God existed, whether or not He actually did, would lead to both a life lived in happiness on earth—without persecution, etc.—as well as a life lived in heaven. If it turned out that God did not exist, then the individual who didn’t believe so, but still lived as if He did, would experience no real loss. On the other hand, were God to exist, the individual who did not believe so, and lived as such, would be privy to unhappiness on Earth, as well as in Hell. This led to the argument that the former outweighed the latter in terms of a pragmatic and happy life. The link between this sort of thinking and the ‘Rumsfeldian Atheism’ I will define below can be made via similar logical conclusions. However, how this sort of logic might also assist us in making sense of how we might define Atheism as exhibiting differing types of ‘Atheisms,’ is a bit more difficult. A little background, then, in two parts. Now what is the message there? The message is that there are known ‘knowns.’ There are things we know that we know. There are known unknowns. That is to say there are things that we now know we don’t know. But there are also unknown unknowns. There are things we don’t know we don’t know. So when we do the best we can and we pull all this information together, and we then say well that’s basically what we see as the situation, that is really only the known knowns and the known unknowns. And each year, we discover a few more of those unknown unknowns. The first category is justified by evidence. We know these things are true. 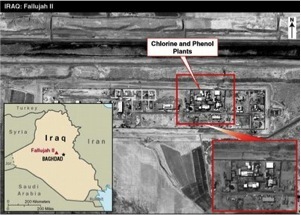 For instance, we know Iraq used Chemical Weapons (mustard/nerve agents) against the Iranians and Kurds between 1983 and 1988, as well as tested Biological Weapons (anthrax, aflatoxin, botulinum) that were to be destroyed between 1988 and 1991. 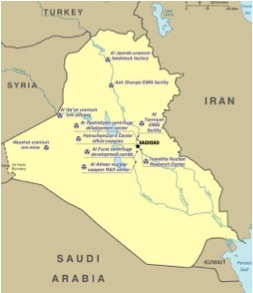 Likewise, Iraq also continuously tried to establish un-sanctioned nuclear weapons facilities, as well as enhanced their soviet scud missiles and launching towers for longer-range attacks. The second category is a direct result of the things we know from the first. 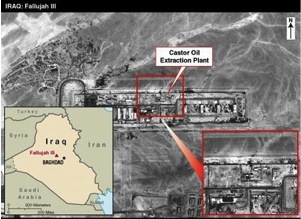 For instance, knowing that Iraq had used similar weaponry, as well as had built manufacturing plants for nuclear and biological weaponry, these sorts of later images justified the fact that there may be things we don’t know: known unknowns. For those un-familiar with my work on Atheism I am quite the advocate for dispensing with ‘defining’ the term, and the promotion of a more discursive analysis, what I quite precariously refer to as an ‘ethnographic approach.’ By this, I mean I would rather allow the individual Atheist define him or herself, rather than have that individual be defined by an external observer. One of the leading reasons for this defense is because of the way our own discourse on studying Atheism has seemed to lean more toward the latter. While this discussion might extend beyond the limits of this present forum, how we came to this point can be briefly drawn out via two distinct categories: historical and theoretical. That is, if we take the discourse on defining the term ‘Atheism’ and treat it like a ‘field of discourse,’ we get a better idea about how the scholars who have done this defining over the last century have followed along a particular progression. In fact, the locus of this turn from defining Atheism via the way individuals have either historically been defined by others, or defined themselves, and theoretically stipulating what the term might mean in a ‘general’ capacity, is found in the way scholars have tried to cope with the differentiation between ‘ancient’ and ‘modern’ Atheisms. This has proven most troubling when the meaning of the former—a political term of censure or imputation given to an individual whose ideas or actions seem threatening to the status quo—and the meaning of the latter—a theological based and ‘parasitic’ conclusion made via re-emergent rational-naturalism that shifts the concept of ‘God’ from omniscient object to subject of inquiry that is then found evidentially false—is combined into a categorically mistaken conglomerate. Out of this emerges a formulaic theoretical stipulation, what I have determined as the ‘positive vs. negative’ paradigm. For the last few decades just about every scholar who has written about Atheism has adopted this formula, determining an Atheist as someone who either positively asserts themselves as such, or someone who is an Atheist either by their ‘non-theistic’ beliefs—a rather normative and Western-centric idea—or through their ignorance or lack of knowledge about the existence of ‘God. In this way, Atheism has become a term that denotes a philosophical generality, so that it might be used to define any sort of denial, rejection, skepticism, or doubt. This is also why we find people defining ‘Atheism’ as a rejection of any and all sorts of religious or supernatural thinking, or the notoriously troubling notion of ‘Atheist religions’ defined by their innate differentiation from the three Abrahamic religions of Judaism, Christianity, and Islam. As a scholarly ideology, it has been standardized, which is evidenced by its use in Martin’s (2007) Cambridge Companion to Atheism and Bullivant and Ruse’s (2013) Oxford Handbook of Atheism. Even Wikipedia has adopted it. Though I should also note that my intention here is not to argue that this paradigm is wholly ‘incorrect.’ Rather, I have found that it’s formation, promotion, and advancement provides an intriguing insight into how theoretical thinking alters how difficult to determine concepts like Atheism or religion come to embody the meanings they have. For the former, this is a direct result of a generalization, a pragmatic attempt at making sense of a term that we ourselves have convoluted with our own theorizing. In fact, prior to the advent of this paradigm, Atheism was always defined via historical examples, using individuals as sources. It was not until the 1970s, and Anthony Flew’s Presumption of Atheism, that we began to see the term as encompassing an explicit or implicit nature. Which, really, makes its usage seem all the more precarious as Flew’s initial treatment—as we see repeated by Eller’s (2004) Natural Atheism and Baggini’s (2003) A Very Short Introduction—was made in order to argue that Atheism was mankind’s default position, as all people are born ‘negative Atheists’ because they are simply ‘without’ the belief that God exists. While this discussion is one I tend to repeat with vigour, and though more of it will undoubtedly continue throughout this blog, this intro will have to suffice for now. 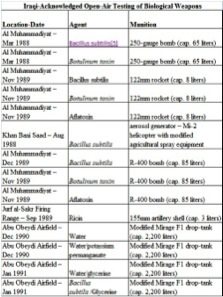 If we adopt Rumsfeld’s Pascalian logic from above, the positive vs. negative paradigm takes on a whole new meaning. In fact, we might even say it adopts a quasi-conspiratorial logic. If nothing else, it helps us make a bit more sense of how we might find ourselves thinking that there are differing types of Atheism across a polarity between explicit and implicit. Then, let us look at the Known Unknowns: Agnosticism. Here, if we define the term as a methodology—like Huxley originally did in 1893—used to answer the question of the existence of the Theist’s God, the ‘agnostic’ would fall under the purview of the known unknown. This individual acknowledges the existence of the Theist’s belief in the existence of God, as well as the Atheist’s rejection of that belief, but is not willing to commit to either side. In other words, and based on the first category, they know something that they acknowledge they don’t know in the way the Theist or Atheist does. Finally, we arrive at the Unknown Unknowns: Negative Atheism. Defined as either an implicit absence of belief—due to a complete ignorance—or an implicit or explicit ‘lack’ of belief—leaning predominately on the etymological alpha privative ‘A’ in Atheism—this individual does not know what they do not know. In other words, they do not know that they do not know what the Theist or the Atheist believes, and are thus not only without the knowledge of the belief that God exists, but are without the knowledge of that knowledge as well. In the end, I think we can learn a lot from Rumsfeld and his logic. If we just took the time to acknowledge that the discourse in which we are both analyzing and contributing to is merely a construct built upon a particular foundation, the less we might find ourselves sounding like someone trying to justify a judgment that we’ve already made. ← What do you call it when a gentile writes a post about Jewishness? oh, don’t worry, next week’s will make you feel EVEN better.